As the world enters the fourth industrial revolution, women can no longer be spectators but need to be active participants in this emerging economy. This was the sentiment shared by communications minister Mmamoloko Kubayi-Ngubane in Durban yesterday. Kubayi-Ngubane was speaking at the Regional Gender Sensitisation Workshop hosted by the African region of the Commonwealth Parliamentary Association in partnership with the KwaZulu-Natal legislature. She pointed out that female participation in the ICT sector is woefully low, especially in Southern African nations. According to the minister, the fourth industrial revolution brings improved employment opportunities in the ballooning ICT sector and increased ability of informal sector women to find opportunities in the formal sector. As a result, the minister has emphasised the need to ensure women are given all necessary tools to exploit this new economy. "With the dawn of the fourth industrial revolution, women empowerment is no longer an option. We need to enact policies that will ensure there is increased and affordable access to Internet connectivity. "The fourth industrial revolution can provide women with broader access to online services such as healthcare and education. It can eliminate the gender digital divide which remains most severe in poorer countries. Lack of awareness about ICT benefits for women is a huge barrier to entry for women empowerment." The head of the communications ministry believes it is important to encourage young women to consider careers in the ICT sector. Kubayi-Ngubane's sentiments echo those recently shared by the education division of the African Union (AU). According to the AU International Centre for Girls and Women Education in Africa, it is high time women and girls are geared towards competitive industries in the field of science, technology, engineering and mathematics (STEM). In a statement, the AU stressed the importance of education in contributing to its vision of Agenda 2063: a peaceful, integrated and prosperous Africa, driven by its own competent and skilled citizens. "It is imperative for African states to move from commitment to action, to invest in human capital and financial resources so as to build self-confidence of girls and young women and boost their interest in STEM or higher level of technical and vocational education and training," says the statement. 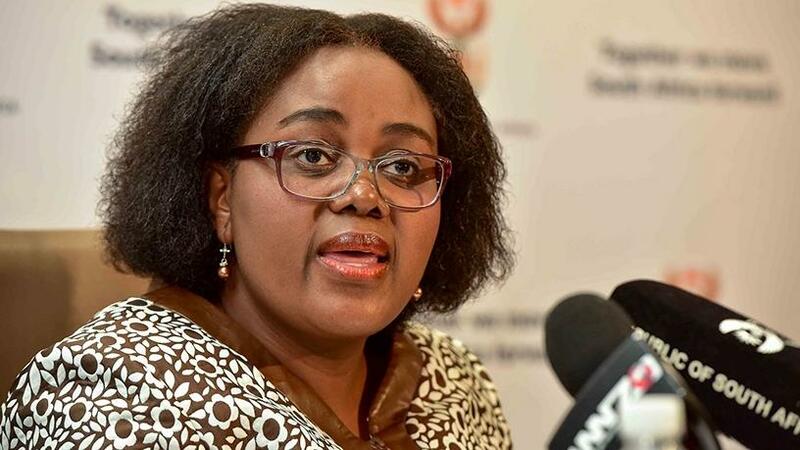 The AU's HR science and technology commissioner Sarah Anyang Agbor has also urged member countries to advocate for political commitment and support for investment in the education of girls and women. "The retention of girls and women's education to quality deliverables has become a non-negotiable quest for all education actors and for all AU member states. "In our common efforts to reach the outcome and accomplish development goals, we have made commitments for the urgent implementation of adopted frameworks and decisions related to gender equality in education systems," Agbor concludes.